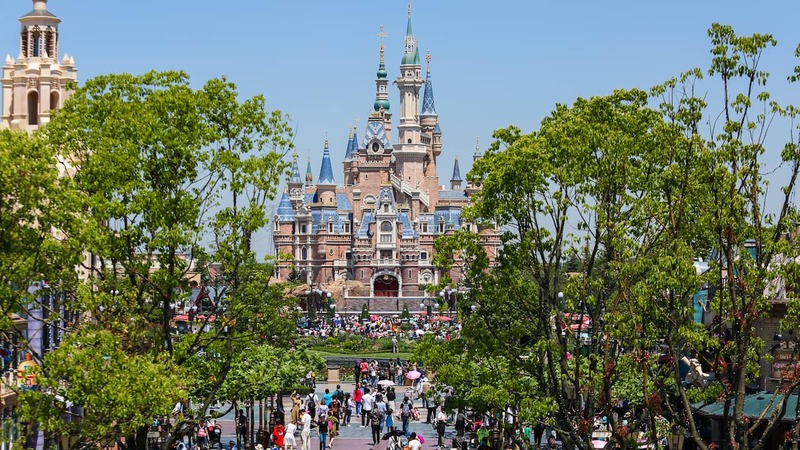 One of the more popular questions I’m often asked on the Disney Parks Blog is “Can I buy it online?” I also do most of my shopping online these days, so I’m not surprised when asked. The great news is that we have an online store that offers a variety of Disney Parks merchandise. This past January we released the first set in a series of online exclusive pins. This isn’t the first time we’ve introduced online-exclusive pins inspired by Disney Parks. We tried this concept way back in 2004 with a series of limited edition pins. These new items are slightly different as they were designed with new pin traders in mind. I was directly involved with Disney Pin Trading for seven years so I know that it’s a fun activity to do when visiting Disney. A pin trading starter set is an easy way to begin trading as it contains a lanyard with a certain number of pins. For this online set, Adrianne Draude designed eight pins of attractions found at Disneyland Resort and Walt Disney World Resort. 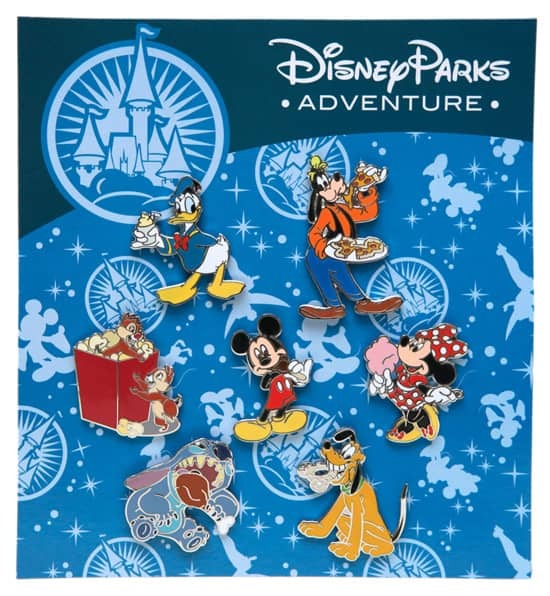 The entire online collection is called “Disney Parks Adventures.” My favorite multi-pin set is the Disney characters enjoying iconic food items from Disney Parks (yes – another turkey leg pin!). 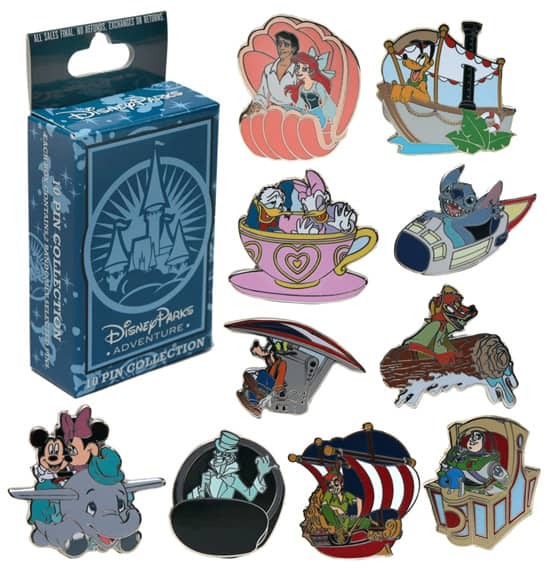 There will also be a mystery set containing 10 pins of characters in various ride vehicles. Julie Young, developer for Pins, said that mystery collections are an easy thing to collect. To round out the collection, Jeanne created a series of pins that will be released throughout the year via the online store. When placed side by side, the pins will form a picture of characters enjoying Main Street, U.S.A. While it’s easy to get started trading, I would love to hear your tips on how to make great trade. Thank you so much for looking into Chef Duffy. 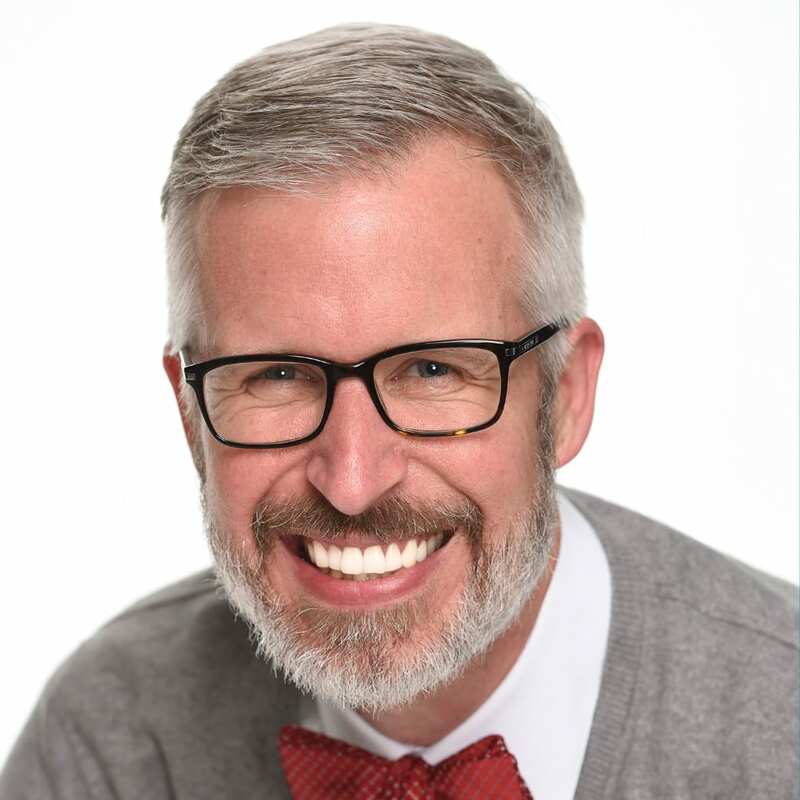 Please let me know when you find out from your duffy team. Hi Steven. Thank you so much for your quick reply. After you speak to your Duffy team please let me know. Love, Love, Love Disney Pins! It just keeps getting better. My daughter has her first pin, she got it opening day at The Magic Kingdom! How fun when the little group of pin traders roamed the parks with their vests of traders! We got two of every single pin released! One to trade and one to keep. Those were the days! Been to all the parks (except Tokyo) trading Disney pins. We have about 10,000 unique Disney pins in our personal collection and my question is: How many different Disney pins do you think there are? Hi Steven, Thanks for the update 🙂 By “any” chance is there any info for the Disney Cruise Line Hawaii Special sailing???? We were hoping for a RSP, but no news just yet. Very Very Excited 🙂 Thanks as always!!!!! Is the Duffy Chef plush coming back this fall for the Food and Wine Festival 2012? Please let me know. @Jessica – I will need to check with the Duffy team. I know that the Chef Duffy was very popular at last year’s event. Is the Food and Wine Duffy (Chef Duffy) coming back for 2012 at the next Festival? I missed buying it and I can’t find it anywhere. Please reply. Love the Disney Parks adventure set in your photo but could not find it in the online store. When will they be available? Great designs, and the lanyard set is creative. But I strongly dislike the “Disney Parks” mantra. I just spent an amazing day at “Disneyland”, “Hollywood Studios”, etc. ; not a generic, corporate-sounding Disney Park. I really love these new designs! I also would like to know when we can buy them??? These pins look great, I can’t wait to get some! How can we find out when new ones are added to the online store? When do they on sale? The other items will be added throughout 2012; I do not have an ETA at this time.